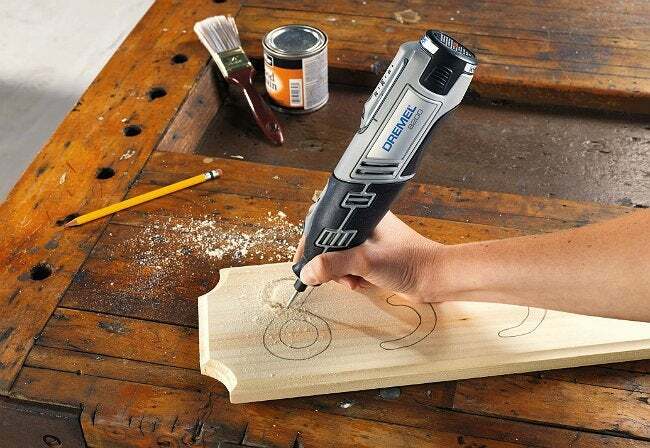 Dremel-type oscillating tools rank high on the list of the all-time handiest multi-taskers. Here's why. If you’re a do-it-yourselfer and you’re not familiar with oscillating tools, such as the type made famous by Dremel, it’s high time you got to know these versatile wonders. The original Dremel was marketed in the 1930s by toolmaker Albert J. Dremel. Since then, other companies have come out with similar tools, and the Dremel name has become a generic (e.g., Kleenex). Dremel tools are small drill-like devices, shaped sort of like an electric toothbrush—minus the brush. They’re designed to tackle a wide variety of jobs, depending on the type of bit or burr that’s inserted into the collet of the tool. Those jobs include drilling, grinding, cutting, routing, engraving, sanding and more. Both single- and variable-speed models are available in corded and cordless models. Generally speaking, variable-speed models give you more control, while corded models give you more power. If you’ve got a wide variety of jobs on your to-do list, add an oscillating tool to your arsenal.